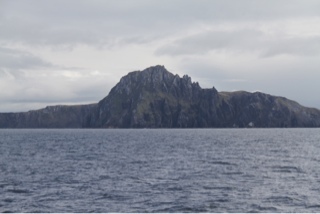 Did you know that Cape of Horn is on an island, not actually on the continent of South America? 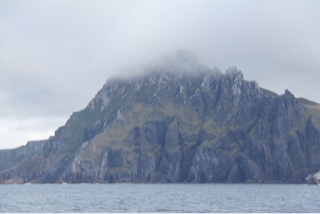 The islands of the steep mist-covered cliffs that mark the southern-most land of the area are part of the Cape Horn National Park (Parque Nacional Cabo de Hornos) at 56 degrees south, and are about as remote, even within Chile, as you can get anywhere in the world and still be a short sail away from civilization. Actually, I just discovered that the Diego Ramirez Islands are further south, but are already in the Drake Passage so not as famous! Infamous because of the rough waters, icebergs, strong winds and currents of the nearby Drake Passage, it is something ships dreaded for centuries. It was only with the opening of the Panama Canal (#920) that the passage around South America was no longer necessary, although many ships used the straights of Magellan rather than go around the tip of Tierra del Fuego anyway, because it was so difficult. It was named after Hoorn in the Netherlands and translates to the Cape of Ovens. The Chilean navy maintains a station on island including a lighthouse.